← Зачем Microsoft усложнила работу с разрешениями NTFS? 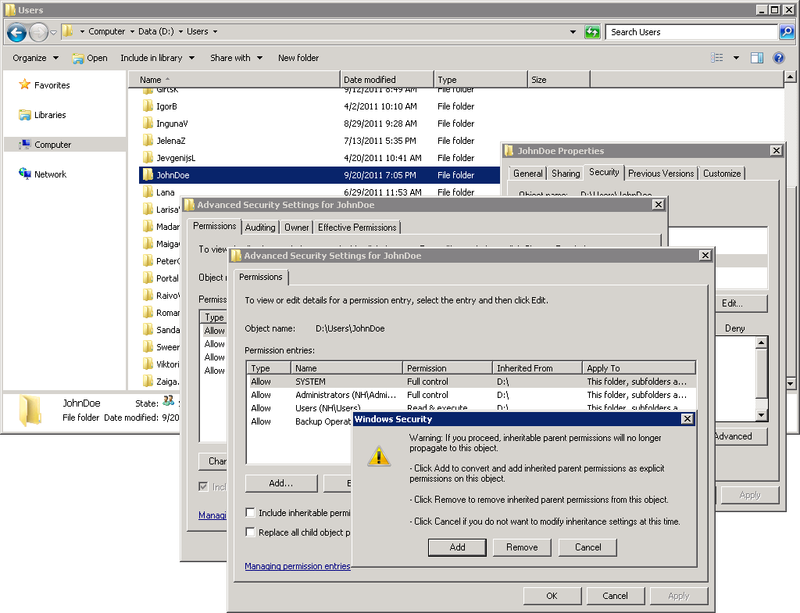 Why Microsoft made managing NTFS Permissions even more complex? 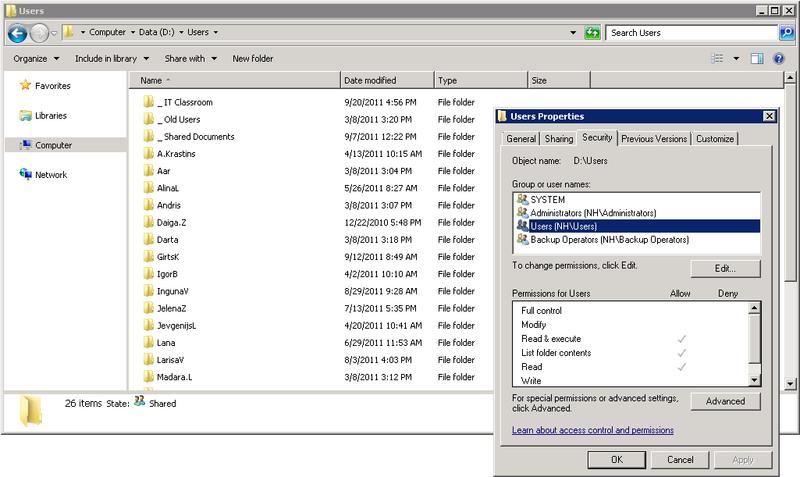 Basically, folder permission configuration windows seem to look the same for both systems except for a safety catch, an Edit button. Let’s leave it under consideration if it is really useful. 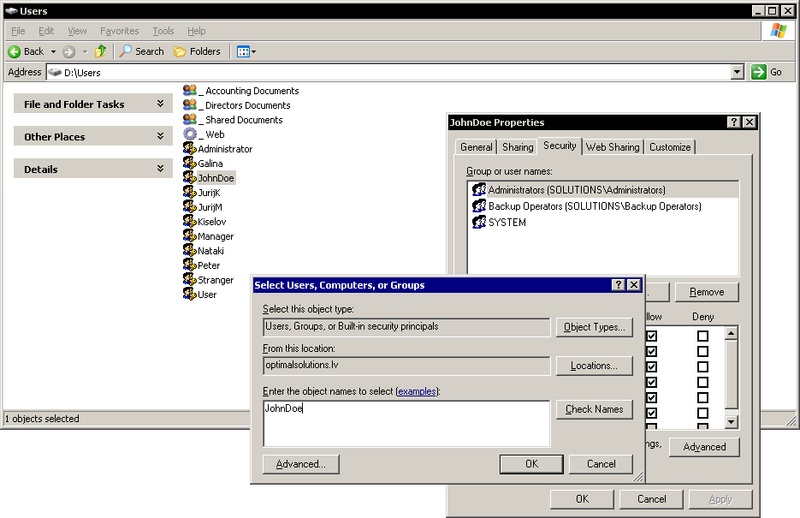 Next, I want to create new employee’s home directory called JohnDoe and need to configure individual permissions on it. To do this, I need to block upper level permission inheritance and add access for John. 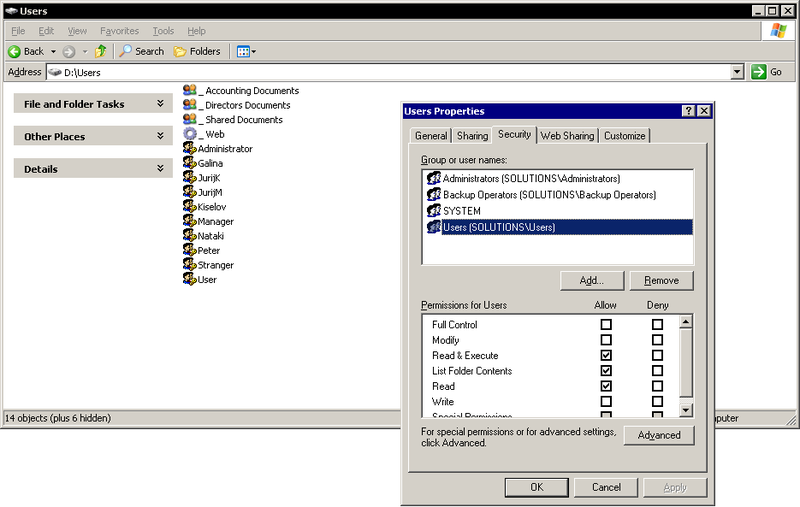 How easy are those two procedures to perform in Windows Server 2003? This time, the identical configuration implementation required 17 (seventeen) mouse clicks in 6 (six) dialog windows. Nevertheless, there appears no any drastic improvement for security. From my side, this only makes security even more distant from people. Why do we need to perform so many actions? Was there any serious reason to make administrator’s job even more complex? Is there anyone who can explain why Microsoft made it that way?